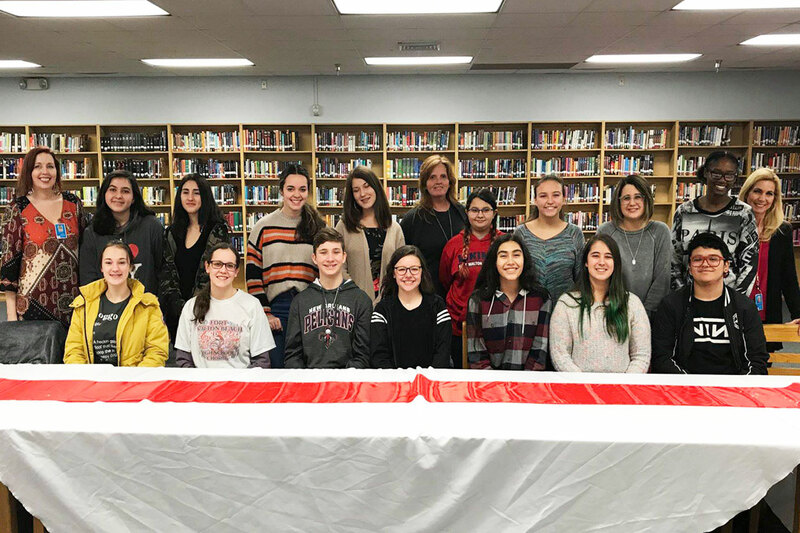 Fort Walton Beach High School held a reception and book signing for the students published in the 2018 Young Writers to Follow book. A total of 30 authors were selected from the tri-county areas of Okaloosa, Escambia, and Santa Rosa, to be featured in this publication. Fort Walton Beach High School had the most authors represented at nineteen. Parents, students, teachers, staff and the publisher of the book, Susan Lewis of Proper Publishing, were on hand to congratulate these gifted young authors. The book is available for sale on Amazon for $10 per copy. Congrats to all of the students who were published in this book! To view and buy on Amazon, click here.